Do you like craft beer? Do you like cider? How does enjoying a pour after picking strawberries and apples sound? How New England of us to do just that at the Lookout Farm Taproom at Lookout Farm in Natick, MA. Where is the Lookout Farm Taproom located? On the rural side of Natick, MA. If you’re coming from the Mass Pike, go past the Natick Mall, go past downtown, head on past a small, bucolic waterfall, and you will find Lookout Farm at the very end of the southern part of town. Lookout Farm itself opened in the mid 1600s (1651). How about that? But, the taproom came way later, in the mid 2010s. 350+ years of separation there. 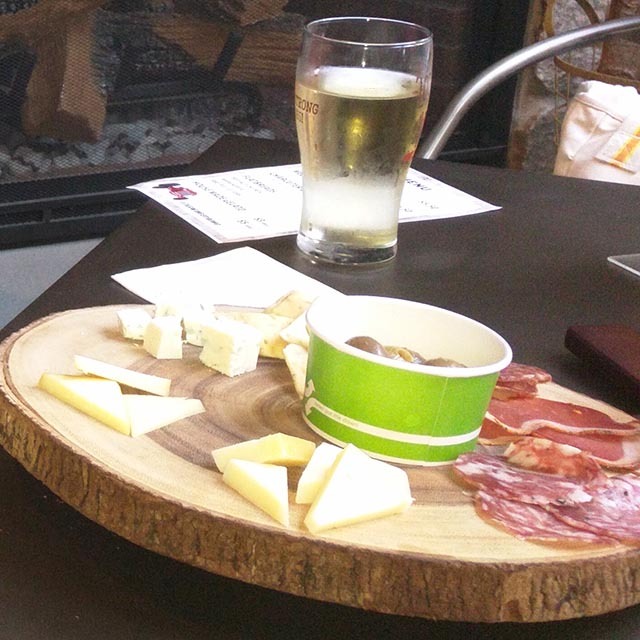 In 2015, Lookout Farm Hard Cider was created. In 2017, Lookout Farm brewing. Potentially? It’s not well advertised. Yes, the taproom is kid friendly. What types of cider does Lookout Farm make? The cider types are pretty varied. They have the 1651, the Hop Up, Farmhouse Blend, Strawberry Fields, Lazy Summer, and the Barnburner, all with different accents, from added peppers to ginger and lemon. The First American Cherry is fantastic though. If you’re unsure, give that one a go. What types of beer does Lookout Farm brew? The Hayloft (Kolsch), Harvest Day (NEIPA), First cut (Stout), the Natick Nectar (Wit). The Natick Nectar is a Peach Belgian Wit that is pretty great. Definitely recommend giving that beer a try. Yes, there is a fridge over by the merch section where you can buy adult beverages to take home. They also serve flights. You literally can’t go wrong putting together a cider flight. There is no hard alcohol served at the taproom. Yes. Pretty sure I saw t-shirts for sale, amongst other items. Does the Lookout Taproom serve food? Yes. Pulled pork flatbreads, charcuterie boards, pub nachos … enough food to fill you up. But, it is a bit pricey, so if you’re on a budget, save your $$ for the bevvies. Trivia on Thursday night. Real nice guy runs it. Generally a smaller number of teams than a city venue (or Thursday trivia over at Springdale in Framingham). Yet still, it is competitive. Can I rent their space for a private function? The Lookout Farm Taproom has a greenhouse that you can rent out, complete with comfy wicker couches. You could probably fit 45-60 people in there. 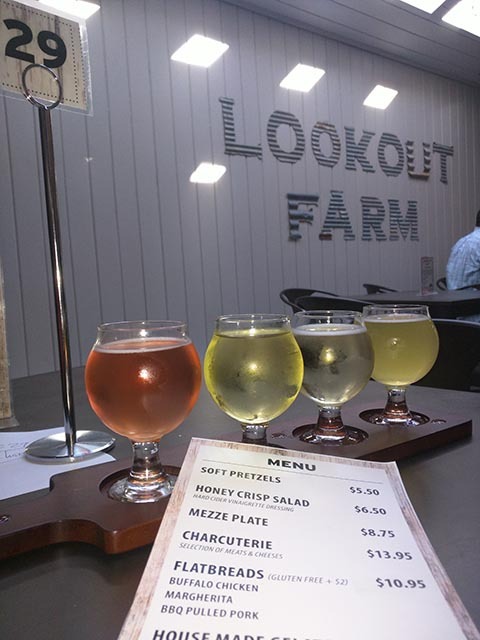 Can I buy Lookout Farm cider and beer in stores? Yes, local liquor stores carry Lookout Farm products. It’s a great spot to do trivia at. It’s also a great place for a casual Sunday. If you live in the surrounding towns, then it might be worth your while to take a bike ride on over to the farm. If you have kids, you could go pick fruits and vegetables, stopping at the taproom on your way out for a pint.